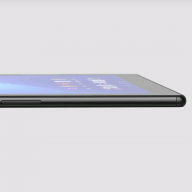 The Xperia Z5 series (Z5, Z5 Compact, and Z5 Premium) was on the list of devices that Sony promised to bring Android 7.0 Nougat to. 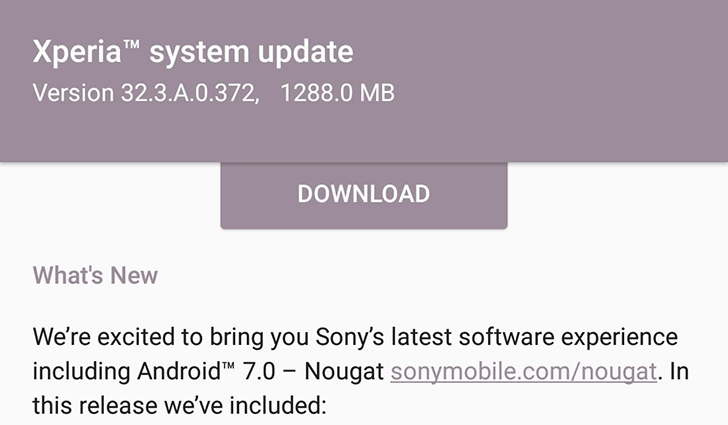 After releasing the update to the more recent X Performance and XZ, then the X and X Compact, Sony is now ready to bring Nougat 7.0 to the Z5. 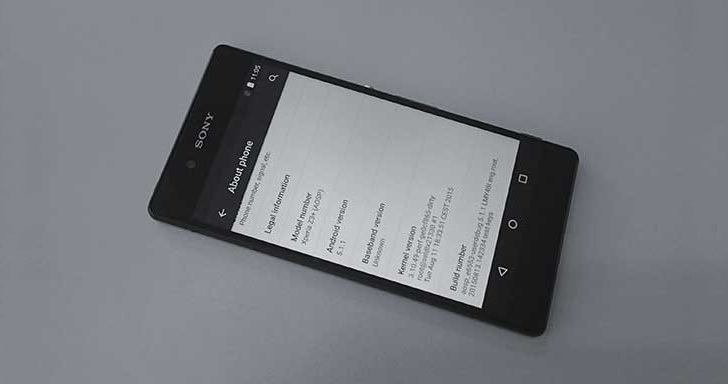 The OTA has started rolling out to some Xperia Z5 and Xperia Z5 Premium users and will probably expand to the Z5 Compact soon. It's a large download at more than 1.2GB, and it should up your phone's software to version 32.3.A.0.372. 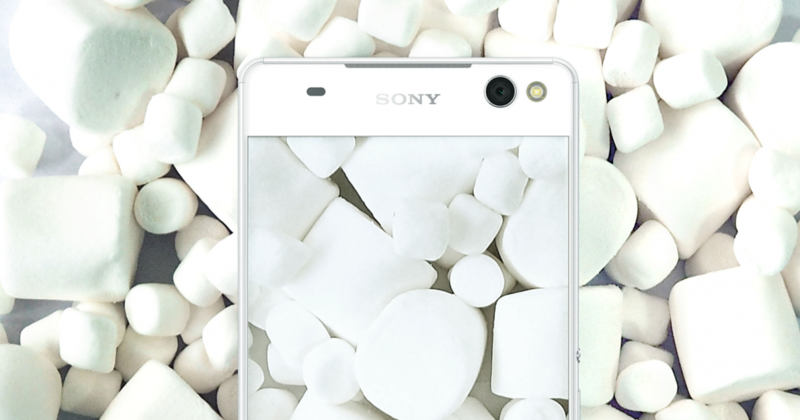 Few would be surprised to hear that the Xperia Z5, Sony's latest flagship, would eventually get Android 6.0. The question is when that update will arrive. Sony is ahead of most other OEMs when it comes to its support of open source. It contributes significantly to AOSP and even releases binaries for many of its devices so developers can build AOSP ROMs for them. Today, Sony is announcing support for the first three 64-bit devices in the Open Device project. 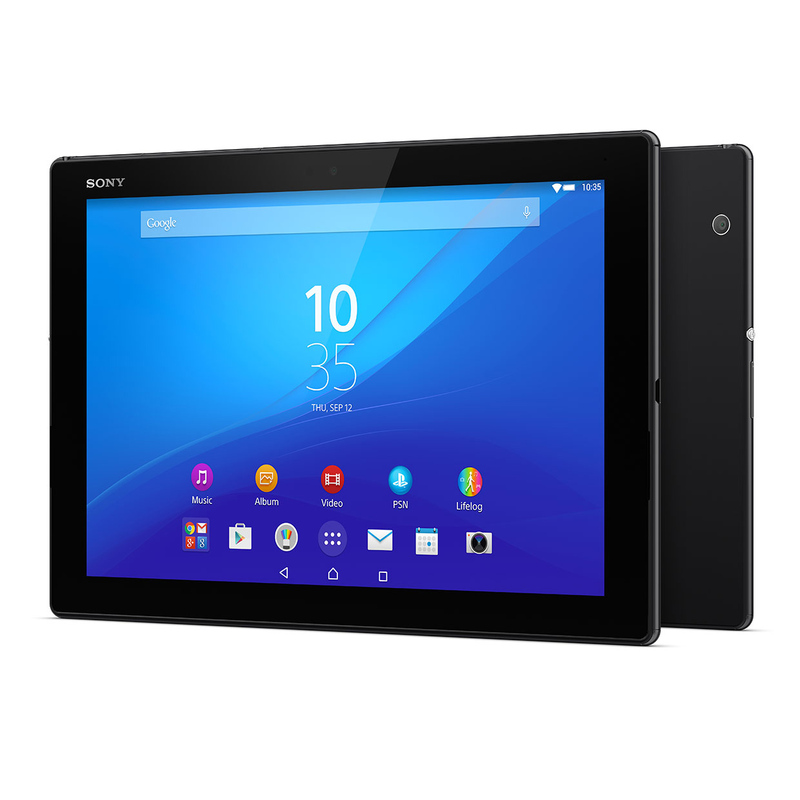 Sony has updated the product page for its Xperia Z4 Tablet in the UK, and it's not the good kind of update. The date listed for the product to start shipping has been changed from today to June 17th. Nice last minute switcheroo there, Sony. Sony's mobile division may be spiraling into oblivion, but that isn't stopping the company from dropping new hardware at Mobile World Congress. 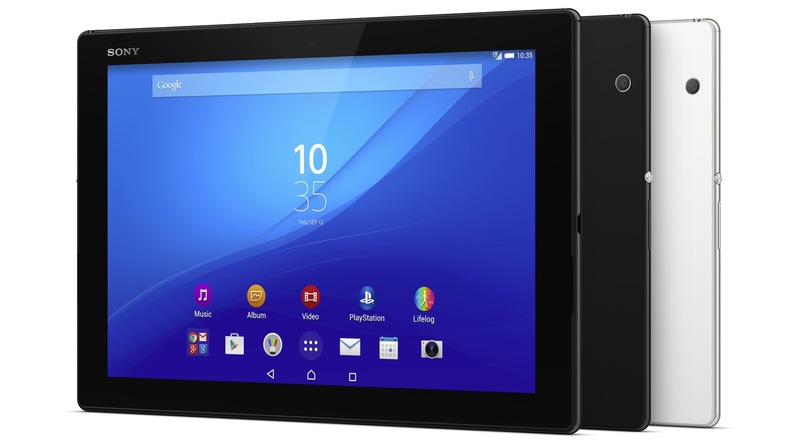 First up is the really hot Xperia Z4 Tablet, a very light and thin 10.1" tablet. 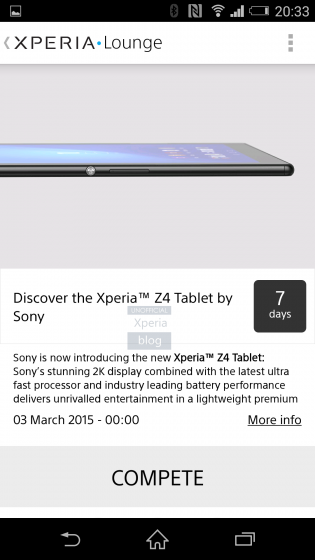 Anyone eager to see what Sony has planned for the Xperia Z4 Tablet won't have much longer to wait. 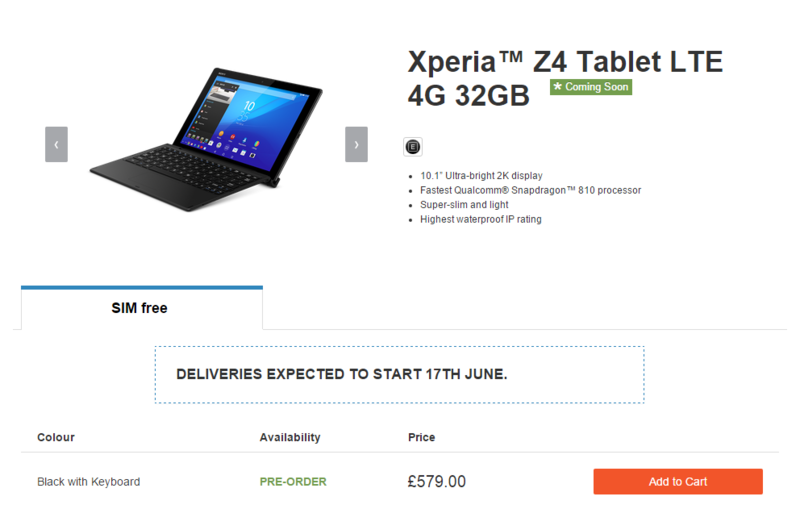 According to XperiaBlog, Sony has let slip its plans to show off the tablet on March 3rd. That date lines up with a certain Mobile World Congress taking place at the time where a bunch of other manufacturers will also be showing off their upcoming products. Sony reportedly let the information slip into the official Xperia Lounge app, which XperiaBlog has shown off in a screenshot. The company has already pulled the information, but it's too late to keep the date under wraps.